Comment: basement mice, no matter what we use, peppermint spray, lasts a while and mice are back, monitors in every wall socket, no good. want to find out where mice are coming in. Comment: We have a major issue with flying squirrels in our attic, plus mice. A company came out today and assessed the situation. 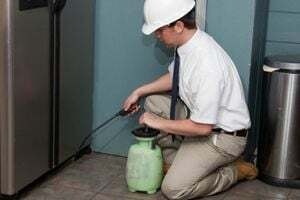 I have a quote on dealing with the whole issue: removing the critters, repairing home damage, removing the bad insulation and squirrel and mouse poop, sanitize, blow in new insulation. I would like another estimate. Thank you!! Comment: I need an estimate on exterminate bed bugs. Comment: Found urine and feces coming from light in bathroom. It appears they are in the walls. Wil Kil Pest Control Company, Inc.
Kettle Moraine Pest Control, Inc.
Sussex Pest Control Services are rated 4.63 out of 5 based on 371 reviews of 12 pros. Not Looking for Pest Control Contractors in Sussex, WI?